Christina graduated from the University of Illinois in 2001 earning a bachelor’s of science in health administration. She graduated as a member of the Phi Kappa Phi Honors Society, recognized for being within the top 10% of her entire graduating class, and she was a recipient of the James Scholar Achievement Award. In 2004, Christina earned her Juris Doctor degree from the California Western School of Law in San Diego and graduated at the top of her class. Christina was the Vice President of La Raza, a non-profit organization which supports Chicano and Latino Lawyers in California. Also, Christina was on the Dean’s Honor List multiple times, she was a recipient of the Dean’s Merit Scholarship for Ethnic and Cultural Diversity, a recipient of the Dean’s Scholarship multiple times, and she earned numerous Academic Achievement Awards for receiving the highest grades in her courses and setting the academic curve. During Law School Christina interned for the Federal Food and Drug Administration located in College Park, Maryland, where she assisted in the writing, revising, and implementation of the Bioterrorism Act of 2002. After graduating law school, Christina was admitted to practice law in the State of Illinois. Further, Christina is admitted to practice law in the Northern, Central, and Southern Districts of Illinois. Christina first worked for Codilis & Associates, a large firm representing mortgage lenders and servicers. There, Christina was a bankruptcy associate who was handled a high-volume case load and presented multiple motions in court three to four days per week. She was responsible for court calls for three judges in Cook County. She also attended 341 meetings to ensure that client’s rights were not adversely affected in bankruptcy. 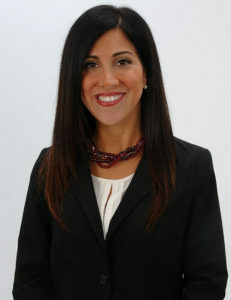 Thereafter, Christina joined the largest health care firm in the United States, Epstein Becker & Green, P.C. as an associate attorney. There she provided legal counsel to food and drug companies to ensure their compliance with the FDA and FTC regulations. She also assisted pharmaceutical companies in submitting and securing FDA drug approval. Christina then joined Takeda Pharmaceuticals North America, Inc. as in house corporate counsel supporting their Research and Development Teams. After many years as a corporate attorney, Christina became the owner and managing partner of her own law firm from September 2009 to the present. The Law Office of Christina Banyon, P.C. is court coverage law firm based out of Joliet, Illinois. Christina’s law practice focuses on appearing in court on Chapter 7 and Chapter 13 bankruptcy matters, foreclosure matters, and various state court matters. Although based out of Joliet, Illinois (Will County), Christina provides her legal services all throughout Will County and the neighboring counties including but not limited to the following: Du Page, Lake, Kane, Winnebago, De Kalb, Kankakee, and Cook Counties. Christina is dedicated to the law firms she provides coverage for. 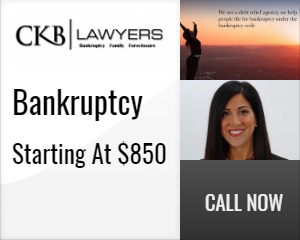 Knowing the ins and outs of bankruptcy and foreclosure matters, Christina always puts her clients first to ensure the best legal representation possible. I would like to thank CKB Lawyers for everything they did for us. Christina is an amazing professional as well as one of the kindest people I’ve had the privilege to meet. We are grateful to you for making our lives better!